Cardiff and Millwall slugged out a bore draw in a dreadful encounter in Wales as the game disintegrated into a 0-0 scoreline come the end of a woeful 90 minutes of play. The South Londoners will be the happier of the two teams coming back to the capital with a point but no one who actually witnessed the game will remember very much of a balloon leaden outing that failed to ignite in any way. The fact that Millwall keeper Jordan Archer was man of the match tells you all you need to know as Millwall stay in 15th thanks to their dreary point. Where Cardiff City were in this duel is anyone’s guess as never in a month of Sundays would you fathom that the Bluebirds were aiming at an automatic promotion place to the Premiership. Despite the lack of thought, intuition and desire they remain in 3rd place. It’s hard to believe but the Welsh team could have gone top with a victory. Of the few positives to come from this match Millwall kept a clean sheet by setting out their stall from the off, barricading themselves in at the back and in the centre of midfield. Meanwhile Cardiff’s lack of urgency and ability to strike through the Lion’s den meant this was always going to be a low scoring encounter with few opportunities for both teams as they simply cancelled each other out. To put it in a nutshell the first half was dire with no player from either side putting his foot on the ball and directing play. It was almost park football with girls as goalposts as the Londoners stood back and let their Welsh opponents come to them. The problem was that Cardiff couldn’t hold onto the ball and there were one or two passages of play whereby you could have been mistaken for thinking it was pinball. You have the ball, no you have it, no I insist. At least Jordan Archer in the visitors’ goal earned his pay packet as he denied first Danny Ward with the first effort of the game coming after 30 minutes. A low shot was parried away well by the Millwall shot stopper. The fact that there have now been just four goals in the last seven meetings between these two speaks volumes of War and Peace proportions. How Millwall got over the Severn Bridge is totally up for discussion s they could barely get over the halfway line in this game. Just as the home side looked to be on the up, they almost gifted Millwall a goal when a dreadful back pass by Sol Bamba was seized upon by former Wales international Steve Morison, but one on one with Neil Etheridge it was the Bluebirds’ goalkeeper who blocked the shot. Morison could and should have done better and the whole passage of play epitomised the first half. Seven minutes before the break and Lions goalkeeper Jordan had to be alert again to stop Hoilett’s fierce volley with a half decent save. The best thing to come from the game were the half time sausage rolls and a warming cup of soup. To be fair the second half was better but not by much. It was a little more end to end in the second half as Millwall suddenly realised that Cardiff were looking anything but promotional material. In fact the Bluebirds could have been down to 10 men early on when Sean Morrison looked to have impeded Lee Gregory when he was through on goal, but even the referee didn’t appear to be to bothered to get in on the action and nothing was given..
Gregory almost got his own back with a well hit effort but Etheridge was up to it in goal for the home team and saved well within his capabilities. 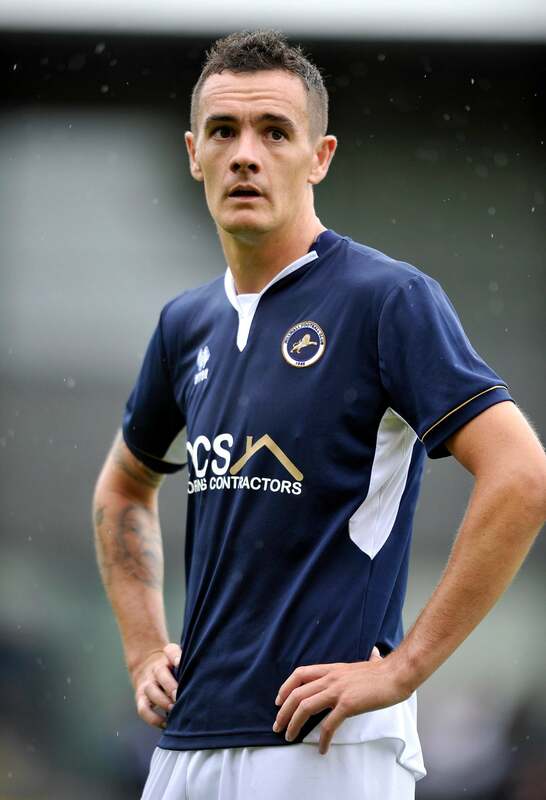 In stoppage time, the Bluebirds might have had a penalty when it seemed defender Morrison was hauled down in the Millwall box but again the referee gave nothing and that was the end of the game. Neither manager was particularly happy with the refereeing of Steve Martin to put it mildly. Millwall manager Neil Harris on his side’s penalty claim said: “It’s a definite penalty. When you’ve got 20,000 people in a stadium and the only person who doesn’t think it is is the referee: someone’s got to be wrong. He got it completely wrong. “Clearly today the four of them (referee and officials) weren’t up to it. A penalty there could have changed the game and it should have been three points to us. I’m very disappointed. Overall I thought the referee was playing catch-up. Steve is a decent bloke, honest and a good referee, but overall I don’t think it was one of his better games today. In the second half it was scrappy, even ugly at times. Cardiff City manager Neil Warnock said: “I pointed to the stand and asked if he (referee Steve Martin) enjoyed the applause. I thought they were playing opposites at one stage: there was a corner and he gave a goal-kick, there was a goal-kick and he gave a corner, a free-kick for them when it should have been ours. There were only 6 shots on target in the entire game from both sides and the fact the home team enjoyed 57% means absolutely nothing as they couldn’t fight their way out of a wet paper bag.